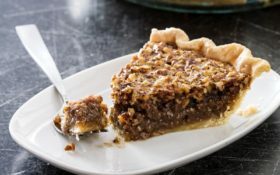 There is much to love about sweet, nutty pecan pie, but it’s easy for this simple dessert to turn out tooth achingly sugary and void of pecan flavor, with a curdled filling sogging a leathery crust. By partially baking the crust, we ensured that the filling wouldn’t compromise its texture during baking and serving; we also found that adding the filling while the crust was still warm helped a great deal. We reversed the filling’s sugar overload by using a moderate amount of brown sugar. Its subtle, nuanced sweetness and molasses taste kept the spotlight trained on the pecans’ toasty flavor. 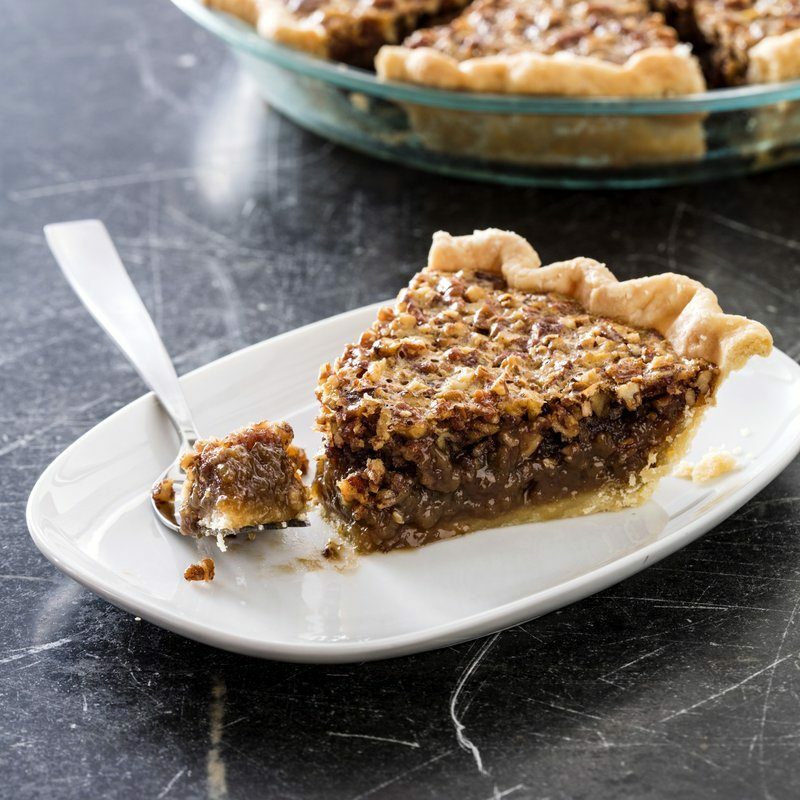 Poured into the warm shell and baked to nutty perfection, this pecan pie moved right to the top of our nice list. We wanted pie dough that we could count on for reliably flaky, flavorful, crust and achieving it came down to determining the right fat, the right proportion of fat to flour, and the right method for combining them. A proportion of 3 parts butter to 2 parts shortening proved optimal for both flavor and texture, and a high-fat ratio of 2 parts flour to 1 part fat produced a workable, tender dough. Sponsored: Was This Bible Hero Alzheimer’s-Proof?